The authors help school practitioners to use assessment to partner with teachers and students to develop effective solutions. 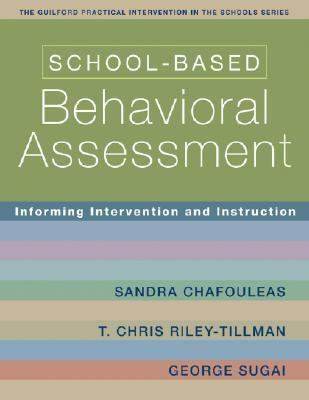 They provide a framework for determining the types of behavioural data that are needed in a given situation, selecting appropriate measures, and interpreting and organising the results.Chafouleas, Sandra is the author of 'School-based Behavioral Assessment Informing Intervention and Instruction', published 2007 under ISBN 9781593854942 and ISBN 1593854943. Loading marketplace prices 11 copies from $27.43 How does the rental process work?